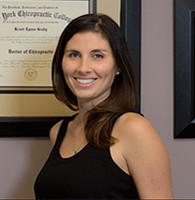 Dr. Kristi Grady Daniel is a National Board Certified Chiropractor in both New Jersey and New York. She graduated with her Doctorate of Chiropractic degree from New York Chiropractic College in 2009. 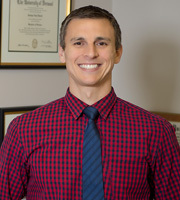 Dr. Kristi is certified in the Webster Technique (Maternity care) and NASM Personal Training and has advanced training in Pediatrics, infant cranial sacral technique, Activator Methods, Kinesiotaping, Ideal Protein Weight Loss, Nimmo and Myofascial Release Techniques. She is passionate about making positive lifestyle changes and started Dr. Kristi’s All Natural Deodorant Cream in 2016. She enjoys exercising, biking, dancing and spending time with her husband and two boys.